When three spoiled dogs get word that their humans are expecting a baby, the pups worry and worry and worry some more. After all, they’ve never lived with a tiny baby before. What about trips to the park? Naps on the couch? And what if he likes the cats – the cats! more than he likes them? Children expecting a little brother or sister of their own will be pleased to learn that these newest additions to the family are not so rotten after all. 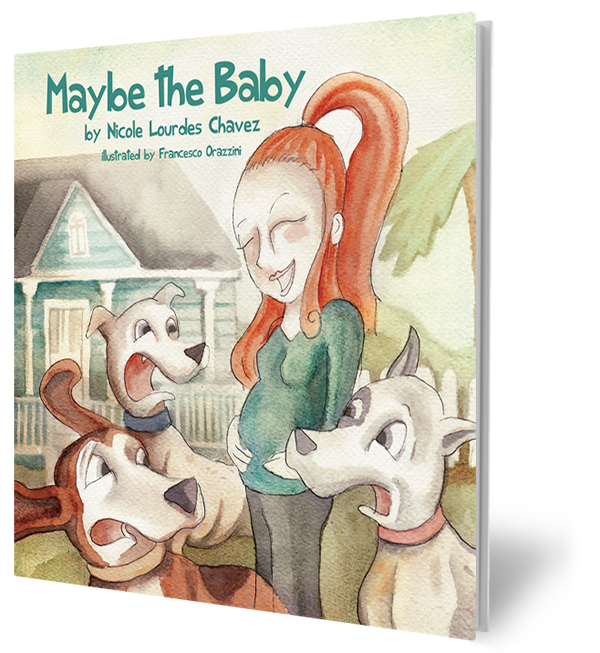 A beautifully told story of three dogs’ worries when they get word of a new baby on the way. Maybe the Baby proves that big sisters and brothers – whether they have two legs or four – are just as special. When thinking of adding a pet to your family, please consider that choosing adoption is the better option.